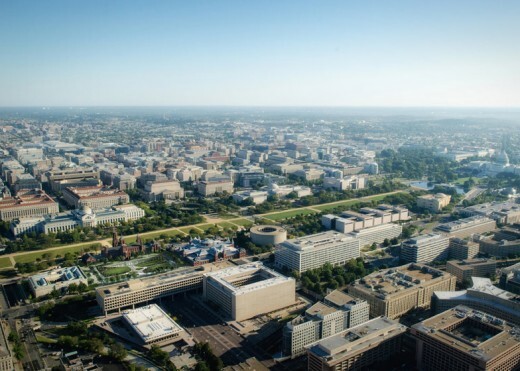 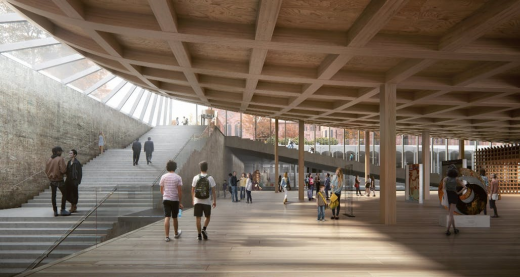 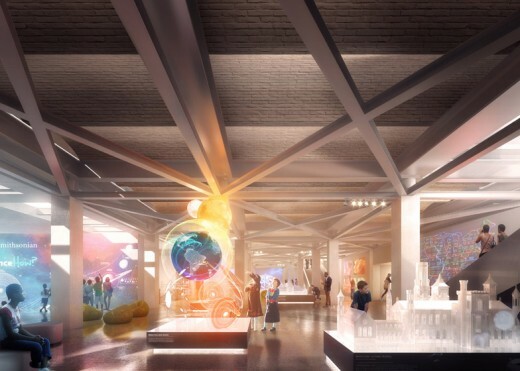 As the Smithsonian Institute’s massive $2 billion redevelopment plans struggle to gain both public and governmental support, architects BIG release a revised proposal. 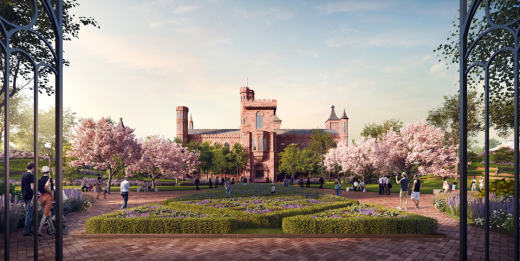 Controversy surrounding the original master plan has been centered largely around the changes that would be made to the Enid A. Haupt Garden, and the seemingly, unnecessarily high costs for the overall overhaul. 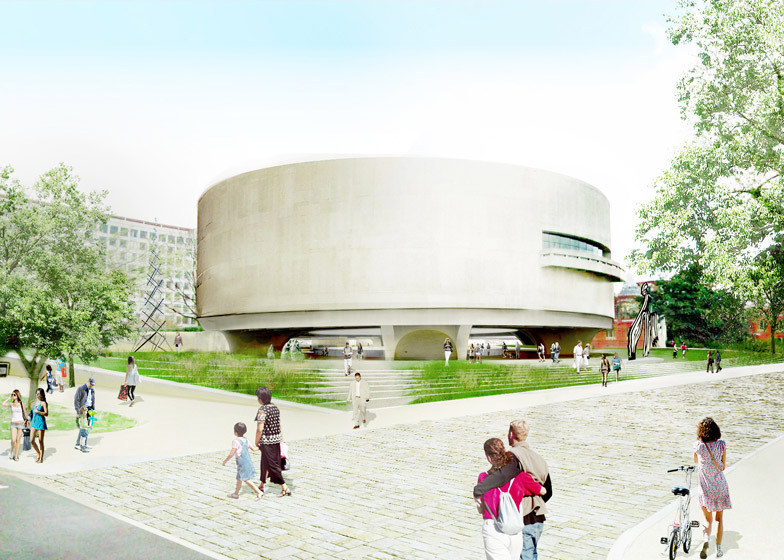 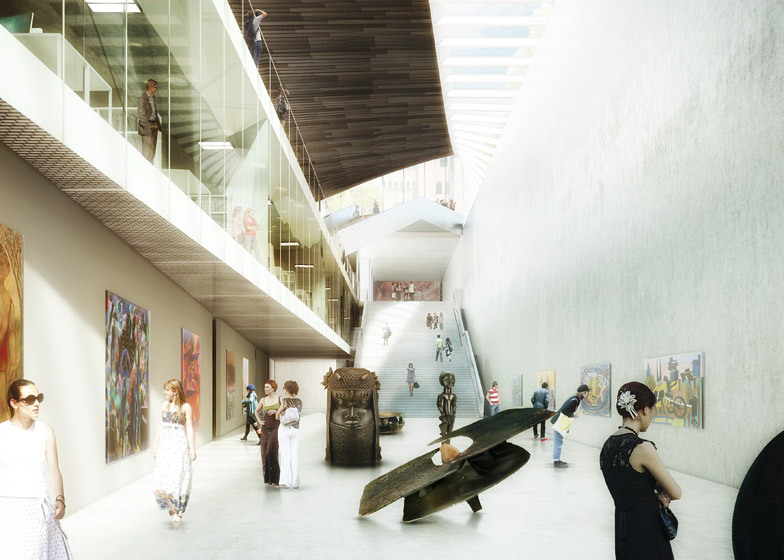 The previous proposal by BIG showed a radical design for this public space in front – and axis with – the main building. 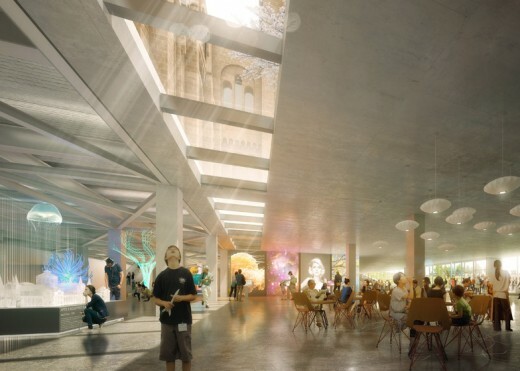 The revised design image, sadly taken at a different (lower) angle doesn’t allow an easy comparison but it looks like almost nothing is now changing in this space. Bjarke Ingels said, on Jan 18th 2018, “Since our last proposal, we’ve been listening very closely to the public. 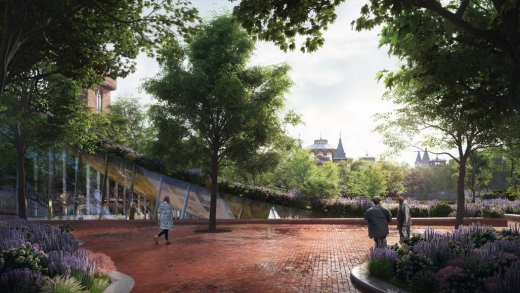 We wanted the general feeling and fondness for the Haupt Garden to remain the same while also increasing its enjoyment and use, offering educational elements and after hour programs” when presenting the revised designs to members of the Commission of Fine Arts (CFA). 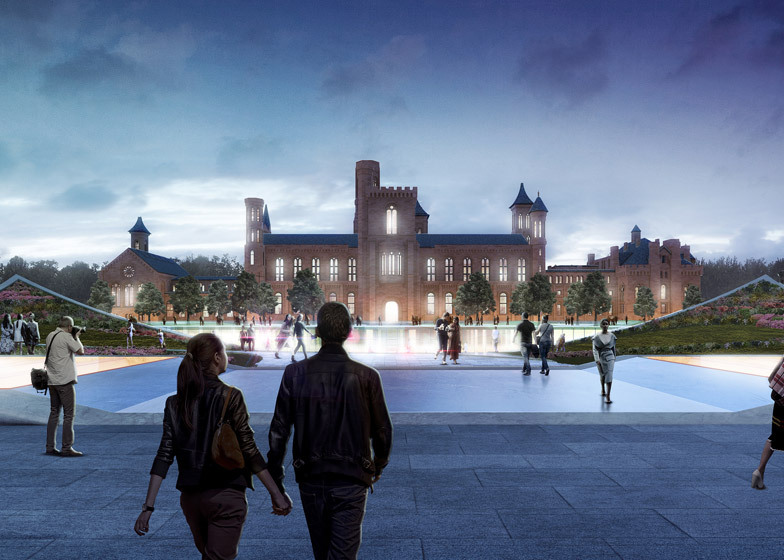 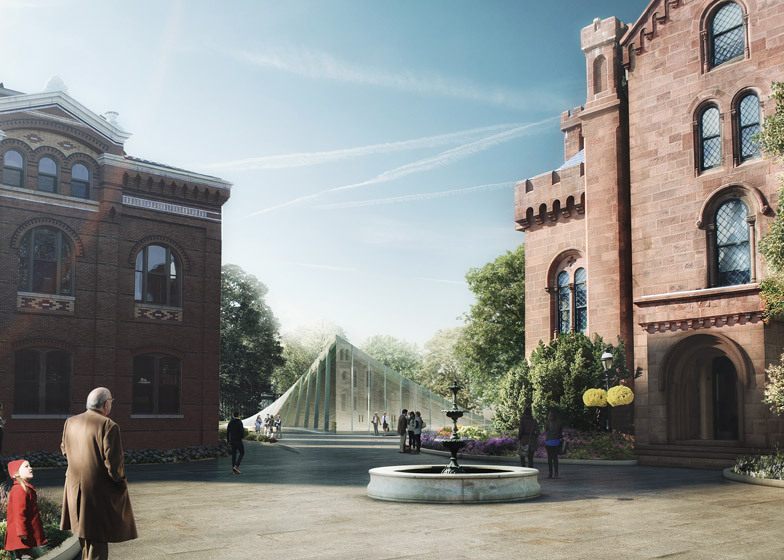 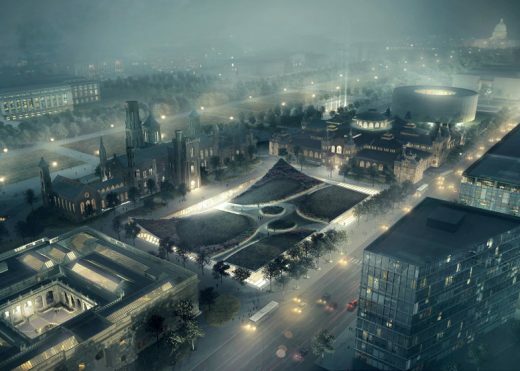 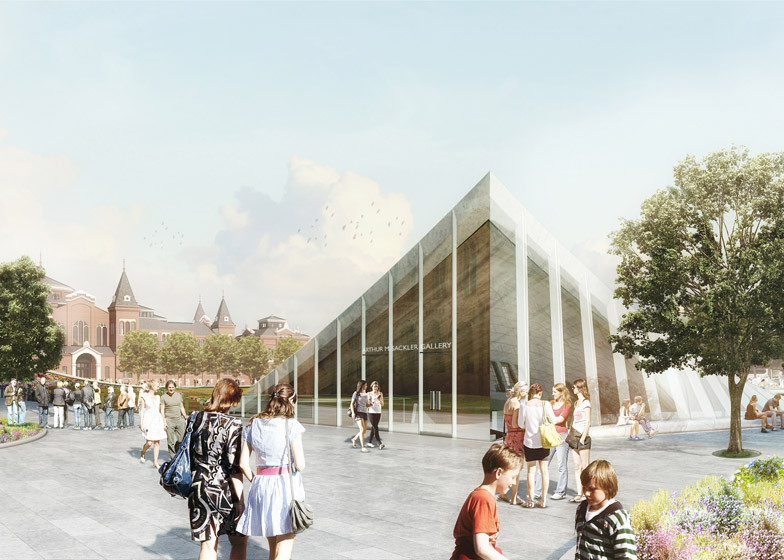 Nearly 1,400 people signed a petition in opposition to Bjarke Ingels Group’s proposal to demolish a portion of the Smithsonian Institution campus in Washington, DC. 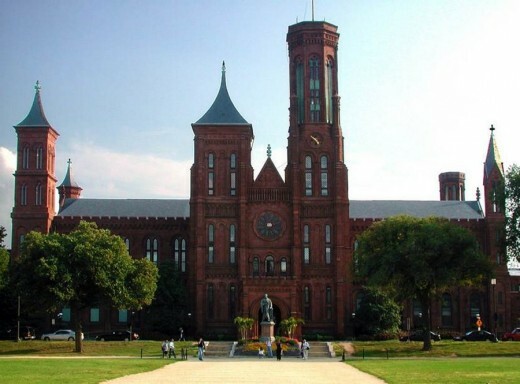 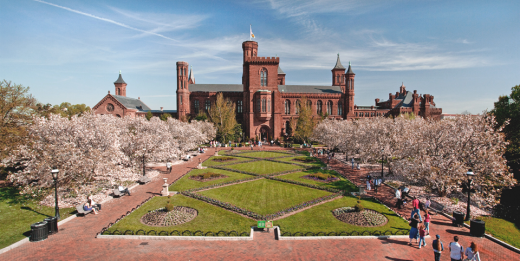 A concerned citizen started an online petition on 5 April 2016 in an effort to halt or at least modify the plans regarding the Smithsonian’s Enid A Haupt Garden, which would be razed to make way for a new plaza. BIG leading a Core Design Team including Surface Design, Traceries and Robert Silman Associates, further supported by Atelier Ten, GHT Limited, Wiles Mensch, Weidlinger Associates, VJ Associates, Protection Engineering Group and FDS Design Studio is today officially announced as the winning team to rethink the historic Smithsonian campus, world’s largest museum and research complex consisting of 19 museums, the National Zoological Park and nine research facilities. Design: Foster & Partners ; Co-architects: Smith Group Inc.